Winner of the tournament was Tunyang Xie (4d China) who won all five games. 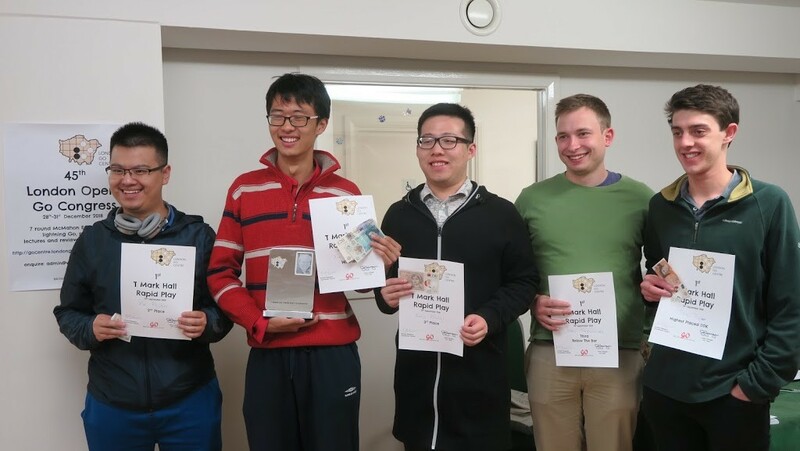 Second was Peikai Xue (1k London) on four wins and Zhanqi Kang (2d Winchester) was third. Lower down those who won four games were James Taylor (11k Warwick University) and Caleb Monk (20k Kings College Juniors), and others, such as Maks Gajowniczek (5k), were rewarded with certificates too, as shown in the picture.